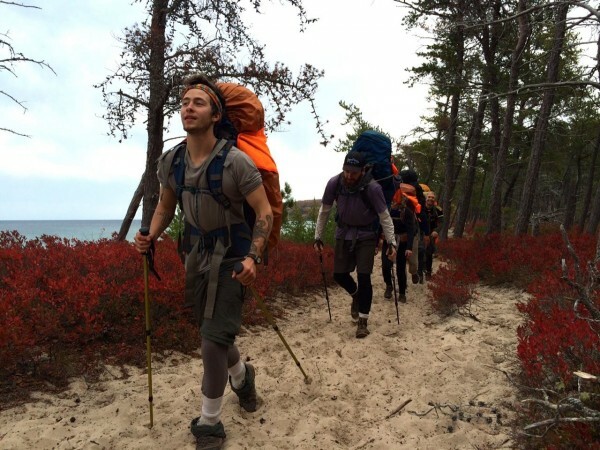 Why pursue a degree in Outdoor Education? Perhaps you have a hearty appetite for travel, perhaps you’re eager to pair wilderness skills with values of equality and justice, or maybe you’re simply interested in fostering personal growth through adventure experiences with at-risk youth. For Dashiell Potter, a junior and EcoLeague exchange student, motivation stems from all of the above. 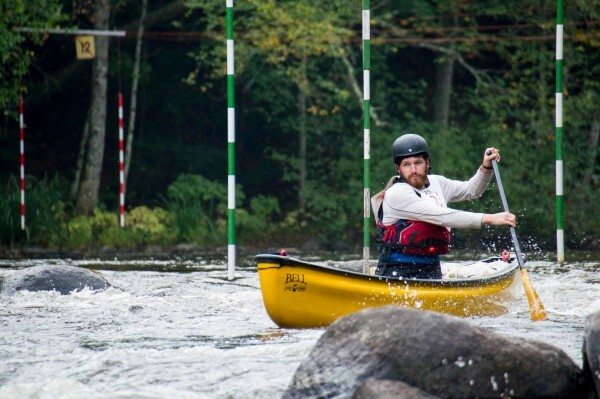 Dashiell Potter competing in a slalom race on the Wolf River as part of the Professional Development Semester. 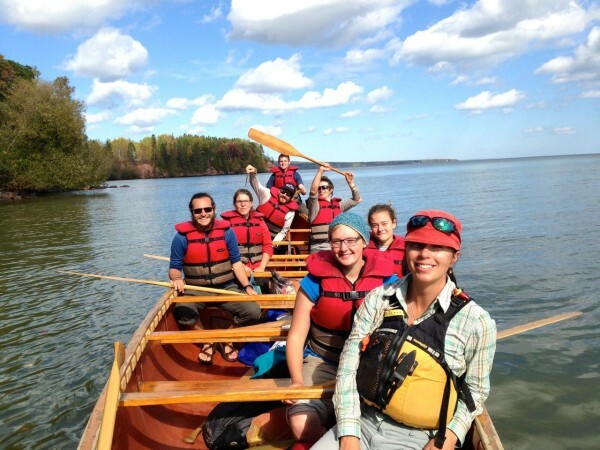 Exercising experiential education practices, the field of Outdoor Ed. (OED) promotes both interpersonal and intrapersonal growth and aims to connect participants to the natural world. Although based in immensely different nature environments, both Northland and Prescott Colleges’ OED programs share similar core values, philosophies, and theories, which are deeply embedded in their curriculums. Located in the North woods of Ashland, WI, Northland College’s program is shaped by the breathtaking presence of Great Lake Superior as well as by the natural history and community of the region. 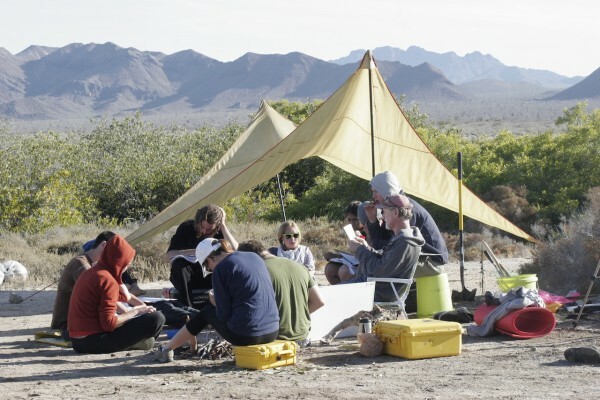 On the other hand, nearly 1,900 miles away in Prescott, AZ, Prescott College’s program prioritizes field opportunities within the elevated desert landscape. “Both places give a lot of opportunity for exploration”, says Dashiell Potter. Each offering a unique and wholesome approach to Outdoor Education, both EcoLeague schools serve as great foundations for students hoping to pursue their careers in the outdoors, much like Dashiell, a Northland student who participated in the EcoLeague exchange program and spent an exciting semester at Prescott. Potter’s interest in wilderness exploration and outdoor travel started at the young age of twelve. Growing up, Dash enjoyed attending a wilderness adventure camp in Northern Minnesota but it wasn’t until after a spending a “gap” year in Patagonia through the National Outdoor Leadership School (NOLS) program, when his passion really “clicked” and he knew he wanted to pursue a degree and eventually a career in the field of Outdoor Education. “Outdoor Ed. is important because it gives people the opportunity to learn and grow in a different environment, other than a classroom,” says Potter. “It’s also based in experiential education, which is hands on learning– you’re learning by doing.” Learning about the importance of experiential education in the two very different regions of WI and AZ was extremely beneficial for Potter’s academic development on the path to his degree. “They both have great place-based learning aspects to their curriculum. It was great to experience a different place and program because I was able to take what I learned in the desert back home to the North woods with me,” he says. OED also provides students with the opportunity for extensive travel. One of Dashiell’s favorite courses at Northland was “Wilderness Instructor Training”. Designed as a month long intensive field course in Arkansas, Dash learned about technical skills of whitewater paddling while simultaneously refining teaching and wilderness leadership skills. Although he took this course during his freshman year, it is still one of the most memorable for him. “This was an incredible trip where I learned about being a leader, living in the wilderness and working efficiently as a group. Like Northland, Prescott also offers highly integrated courses which was a highlight for Dash. 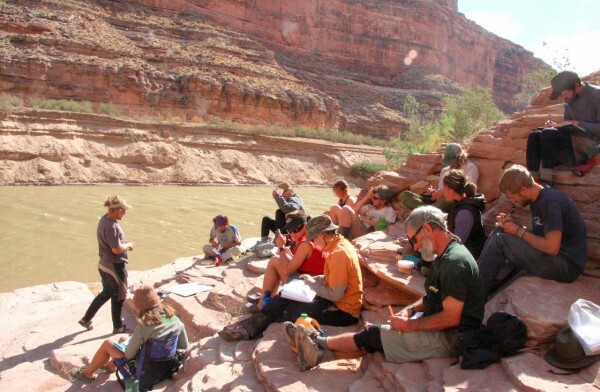 “These courses blend outdoor education with other disciplines, between content and experience or the tactile and the cognitive,” says David Lovejoy, an Adventure Education professor at Prescott College. Some of the integrated courses available include Bike Packing, Winter Ecology, Rock Climbing and Yoga, Environmental Issues, and Backcountry Skiing. “Students need to experience the wild and form direct emotional relationships with the natural world. This fosters an appreciation for our place within nature and an understanding of our dependence,” says Lovejoy. A unique element of Prescott’s program that is conducive to forming these nature relationships is their block semester. During the block semester, OED majors have the opportunity for extended travel and field expeditions, as they participate in a single intensive course. This structure enables students to spend a one-month period away from campus to explore and cultivate skills in remote settings. Back in Ashland, WI, OED students also participate in a series of similarly intensive “block” courses during the fall semester of their junior year at Northland, which Dashiell has recently completed. “Everyday is something new; we do a variety of things—we cover teaching skills, go to conferences, learn how to identify trees, how to build a debris shelter, or start a fire with a bow drill,” says Potter. Commonly referred to as “Fall Block”, the four-course professional development program combines land travel, water travel, woodland and craft skills (or primitive living skills) and aims to develop students as effective educators. Another unique aspect to Northland’s OED program is its flexibility, as students are able to select one of three different emphases: Wilderness Leadership, Therapeutic and Universal Design, and Natural History. This way, students are able to focus on cultivating detailed skills useful for specific types of professions they’re interested in pursuing. Nonetheless, Northland’s core values and philosophies are reflected in all three areas of study. “Our program has a strong foundation in social justice, equity, and inclusion of all people. We also have a foundation in environmental stewardship and sensitivity,” says Northland professor Elizabeth Andre. Through its close analysis of current challenges, practical experience and skill development, as well as future potential for the profession, Northland’s OED curriculum is geared toward promoting a critical awareness amongst their students. “We believe that outdoor education is a tool for creating the world in which we want to live—through connecting people to the outdoors we help them discover the importance of community both ecological and social,” Andre says. Such philosophies are not only important to the success of their students, but they are also very similar to those at the heart of Prescott’s OED program. “Our core values are connecting people with nature and each other in meaningful ways,” says professor Lovejoy. “We value the ability of adventure education to foster self-examination and illuminate issues of fairness and equality.” As these principles are embedded in Prescott’s curriculum, many graduates have reflected favorably upon the attributes gained here. “They have highlighted a passion for working with groups toward a common goal, as well as good communication skills and collaborative abilities,” he says. As a soon to be graduate, Dashiell Potter is incredibly grateful to have had the opportunity to learn from both professor Andre and professor Lovejoy through his EcoLeague exchange program. “After I graduate I’d like to work in wilderness therapy or with at-risk youth programs,” he says. “I want to take those people out into the wilderness who don’t have the opportunity to go.” Other professions Northland and Prescott graduates pursue include wilderness guides, outdoor skills instructor, outdoor business owners, program administrators, and environmental educators. Regardless of the profession, OED promotes important social and ecological awareness as well as personal growth through intimate connections with the natural world. These EcoLeague schools provide students with extraordinary resources, faculty support, and a riveting landscapes for developing the skills they’ll need to navigate the both outdoor and professional world. “The two areas are pretty incomparable, I have felt wonder paddling the waters of both the North and South. Learning from different professors, experiencing different teaching styles and seeing how they approach adventure education was great to experience,” says Dash.